All drivers in Alberta, and in Calgary in particular, pay average car insurance rates when compared to other provinces. The average monthly auto insurance rate in Alberta is $114 per month ($1,368/year). Car insurance is required by law in Calgary and across the entire province of Alberta. 3rd party liability: Mandatory liability coverage is the minimal 3rd party liability coverage that is prescribed by law and included in every auto insurance policy. In Alberta the coverage is for $200,000. This insurance is intended to cover possible damage that you inflict on another party. Tort-based insurance system: Alberta uses a tort-based insurance approach, which gives right to collision victims to sue another party. 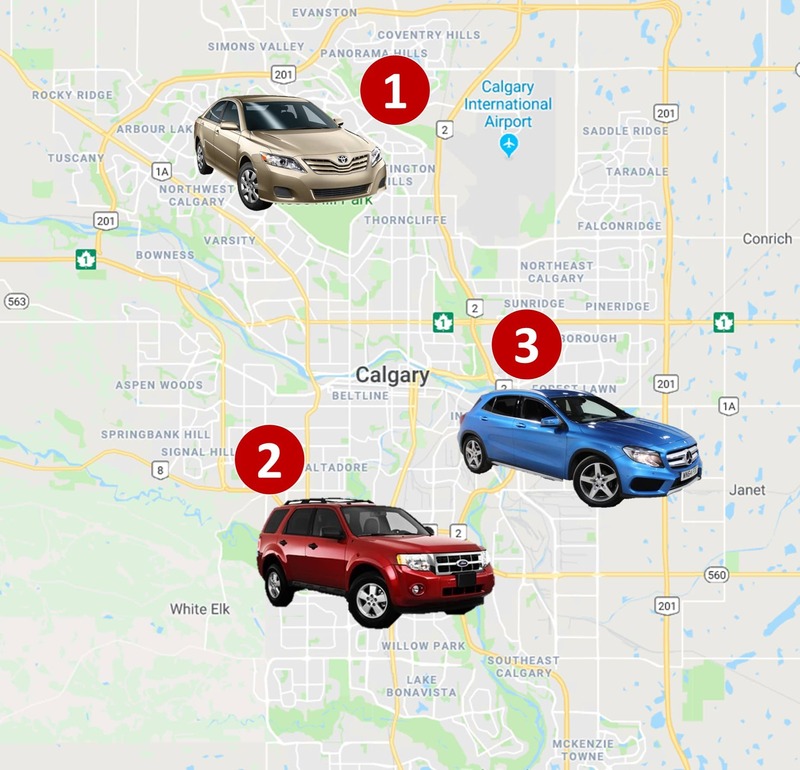 How to choose the best company to insure your car in Calgary? There are numerous car insurance companies that are active in Alberta. Here is an overview of nearly all the car insurance brands operating in Canada. 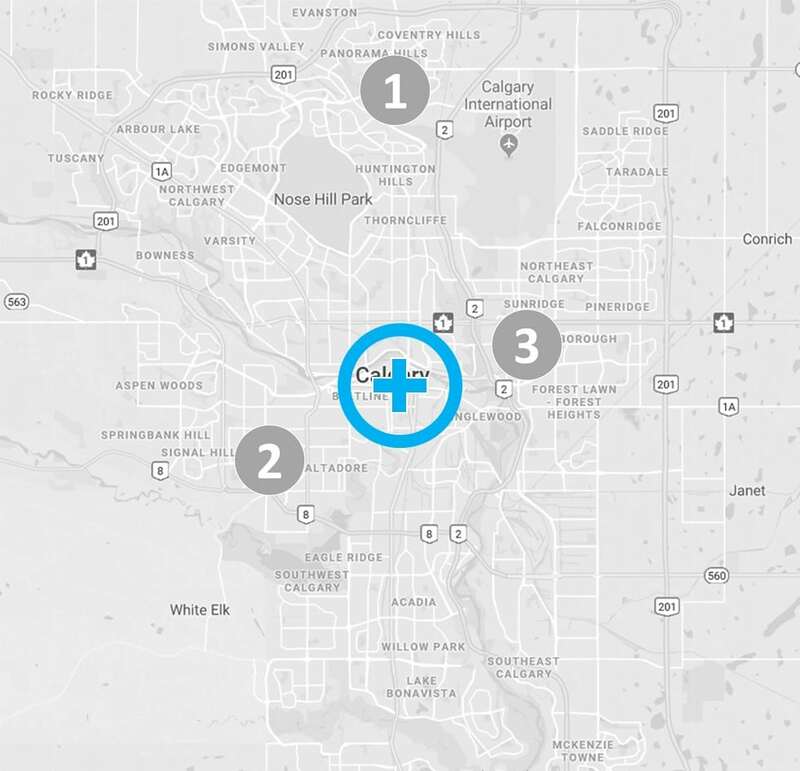 Many of them operate in Alberta and Calgary, competing for your business. Some insurance companies sell insurance policies directly through their call centers and agents (e.g. TD Insurance), others choose to use brokers (e.g. Intact, Aviva). It is important to know that an insurance broker can offer and compare insurance policies from multiple insurers depending on how many companies he or she works with. Strong history of paying claims – reading consumer reviews will offer you insights into how often the company pays its claims. There are numerous aspects that impact your car insurance rates in Calgary. Click our infographic on the right to explore them. 1. Retiree and student discounts: Students and retired seniors could qualify for a discount from some insurers. 2. Choose to pay annually: If you can afford a lump sum payment, you’ll benefit from a lower rate, since you are saving the insurer some time and administration costs. 3. Reconsider Glass Coverage: Compare the cost of a new windshield over paying monthly for glass coverage. It may be a better deal to just save up the money. 4. Minimum Coverage: If your old car does not have a lot of resale value, and fixing it after an accident would be pointless, go for the minimum coverage that protects you from damage you inflict on other vehicles/drivers. While you’ll save money, remember that your car repair/replacement costs would become your responsibility. 5. Reward Good Driving: Ask if your insurer can capture your driving habits via a special device they add to your vehicle, and if good driving means a discount. 6. Driving Course: Some insurers offer a discount if you pass a driving course.